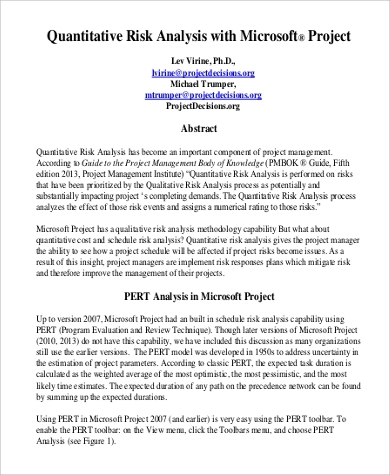 A quantitative risk analysis has been an essential part of project management. 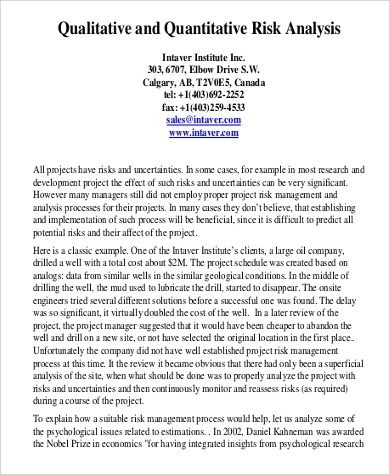 It is usually performed to complete a project’s demands by analyzing the effects of various risks and assigning a numerical rating that can fully project the risk’s threat level and expected impact. 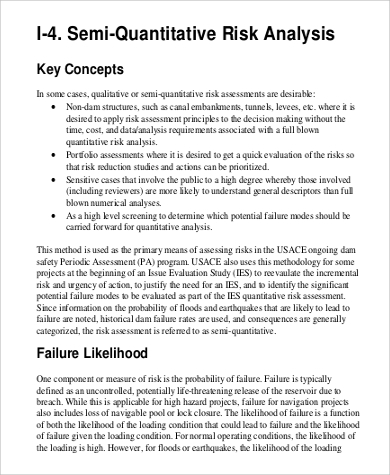 This article lists down a variety of quantitative risk analysis samples that you may download if it is applicable in the study or process that you are currently involved in. 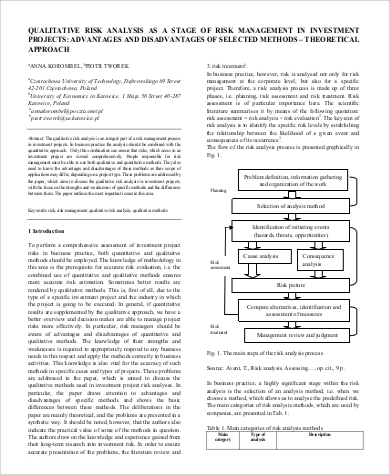 Aside from that, you may also want to browse through other kinds of Sample Analysis in the link provided for additional references. 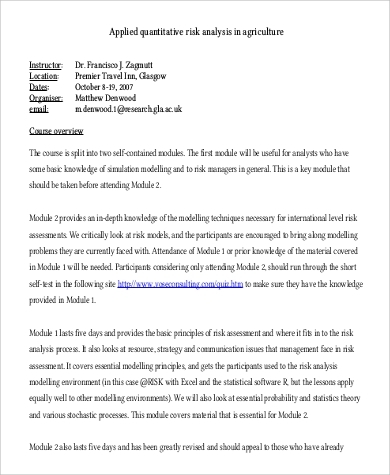 Why Use a Quantitative Risk Analysis? 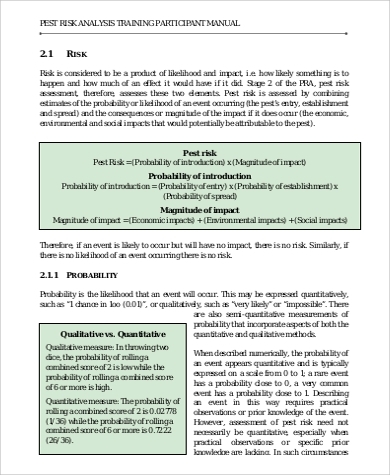 Quantitative risk analysis allows the existence of a complete numeric analysis. It helps in providing the variables to measure to identify the overall effect of a quantifiable amount of risks. It collates all the risks that are involved in a specific project. 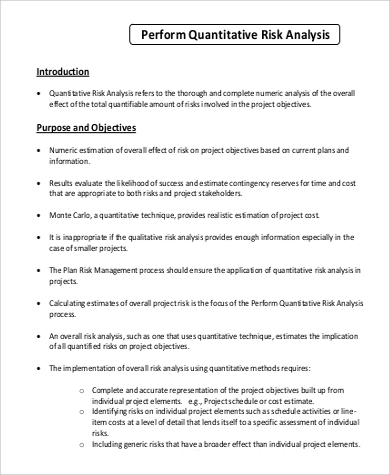 Quantitative risk analysis evaluates the success of measures that can be used to avoid the impact of the risks that are present in a project environment. It helps in creating contingencies to reserve time and cost that are very efficient to project stakeholders. It helps in calculating the overall project risk estimates so that the project coordinator and creator will be aware of the threats and other risks present in the project processes execution. 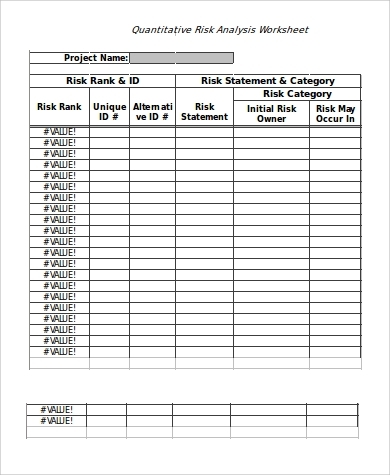 It allows the project plan to be changed varying on the results that may be shown after the assessment of risk variables. 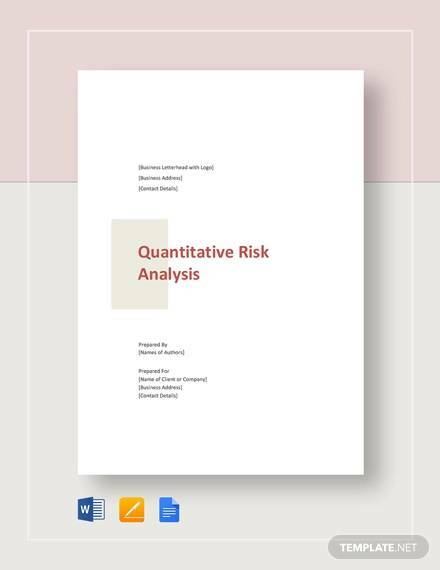 Aside from our quantitative risk analysis samples, you may also be interested to browse through and download our templates of Risk Analysis Samples and Quantitative Analysis Samples for more references regarding various kinds of analysis done for specific purposes. Other than our samples of quantitative risk analysis templates, our templates of Financial Analysis Samples are also available for download.